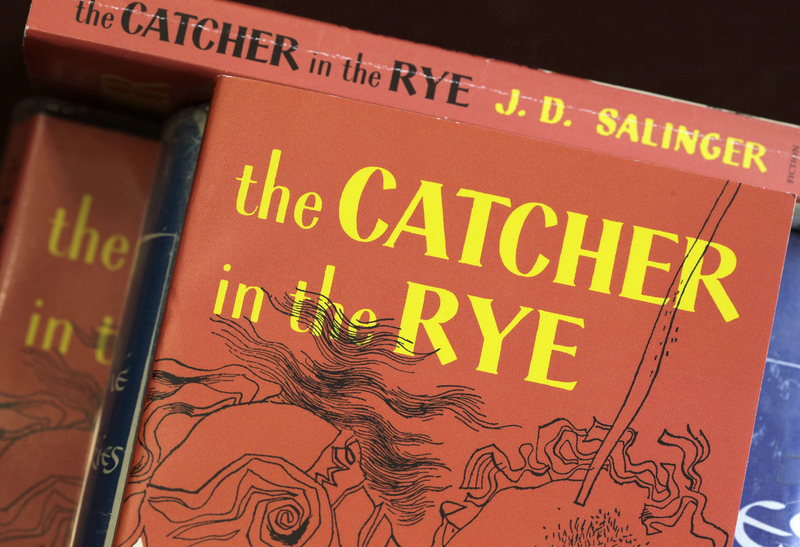 "How does The Catcher in the Rye reflect postwar American culture?" "The Catcher in the Rye and the 1950s Teen"
"Frontispiece of J. D. Salinger's The Catcher in the Rye (1951)." Photos/Illustrations. Amy Sancetta/AP/Corbis. Pop Culture Universe: Icons, Idols, Ideas. ABC-CLIO, 2016. Web. 19 Feb. 2016. "J. D. Salinger." Gale Biography in Context. Detroit: Gale, 2010. Biography in Context. Web. 19 Feb. 2016.